Changing our viewpoint is especially critical for Business Analytics. 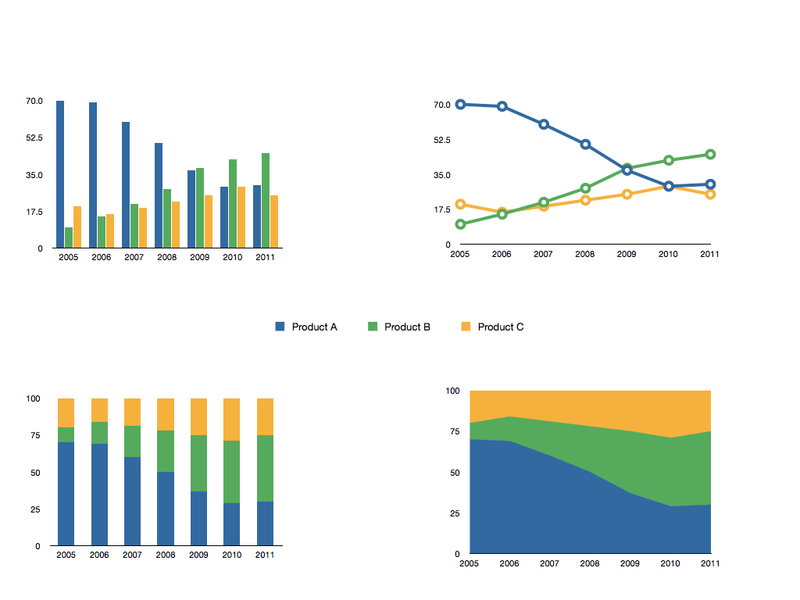 Different chart types, for example, highlight different aspects of data. Look at the example below. The line chart nicely shows the general trend. The bar chart on the other hand invites you to look at the variances. Which graph is better? I can’t say! Both do different things well. And both charts provide a different perspective. Even this simple example shows that changing our viewpoint can be beneficial. I know, this is so obvious. Unfortunately, too many business people are not able to change the views of their information. Their curiosity and creativity is stifled by poorly written, inflexible reports and tools. To make things worse, business is often reliant on IT to implement changes. And IT is overloaded with work and often worries about proper controls. Other times, complex spreadsheets pose huge hurdles. But it’s not only about that. People have different preferences and ways of thinking. Everybody should have the freedom to think in their own specific ways. My good colleague Dave Clement recently blogged about that and raised the question: What do you want your data to look like? Modern Business Analytics tools provide us with the ability to view data in a way that we want to view it. The solutions and tools allow us to quickly change and customize our viewpoint. But it is up to us to leverage that opportunity appropriately. Too many people limit themselves to single views. Are you changing your viewpoint often enough? Are you getting the best out of your data? If not, make sure to register for the upcoming IBM product launch event. Changing your viewpoint will become even easier and more fun. Analytics are about to go personal. Next Next post: Cognos Insight is here! A first look.